Jordan - Where We Work - International - World Education, Inc.
World Education led the USAID-funded Monitoring and Evaluation Partnership (MEP) program from 2010-2014, in partnership with the National Center for Human Resources Development (NCHRD) and the Evaluator’s Institute at the George Washington University. 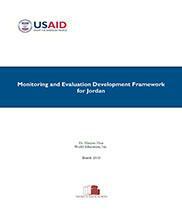 The World Education program team provided technical assistance to develop an effective and sustainable monitoring and evaluation (M&E) system to improve the education sector in Jordan. In coordination with the Kingdom of Jordan, World Education implemented initiatives to better educate the children of Jordan and prepare them to participate in the economy of the future. 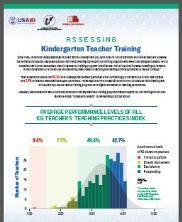 Under MEP, World Education helped to strengthen the technical capacity and skills of staff to carry out quality studies on the educational system by assisting researchers and providing training programs and workshops. 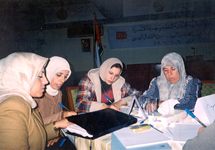 World Education was instrumental in building and supporting sustainable coordination and collaboration between multiple organizations in conducting M&E activities, including helping to draft a memorandum to better define the roles, responsibilities, and procedures that govern their communications and facilitate their work together. 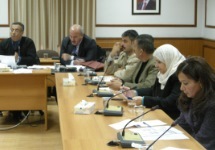 This was formed through a consultative process that integrates the perspectives of all stakeholders, and contributed to the improvement of education in the country of Jordan. 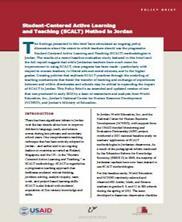 World Education's used a range of methods, interviews, surveys, and focus groups to evaluate the Youth Work Jordan project. World Education strengthened monitoring and evaluation capacity to support program quality and impact, and trained staff to master evaluation skills and techniques for policy relevant evaluation and analysis in the education sector.